Dennis MacDonalds 1986 Corvette is powered by Rolling Thunderz 434 cid small block Chevy EFI engine which produces over 700 horsepower naturally aspirated and over 1000 horsepower with nitrous oxide injection. This is one of the fastest street legal Corvettes in the world with a best drag strip quarter mile elapsed time of 9.107 seconds and a drag strip quarter mile top speed of 154 mph. 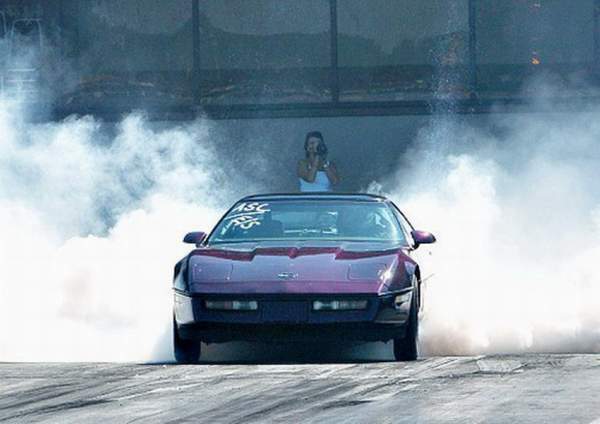 These performance achievements have been accomplished with street legal D.O.T drag radial tires and with the Corvette independent rear suspension at a race weight of 3450 lbs.